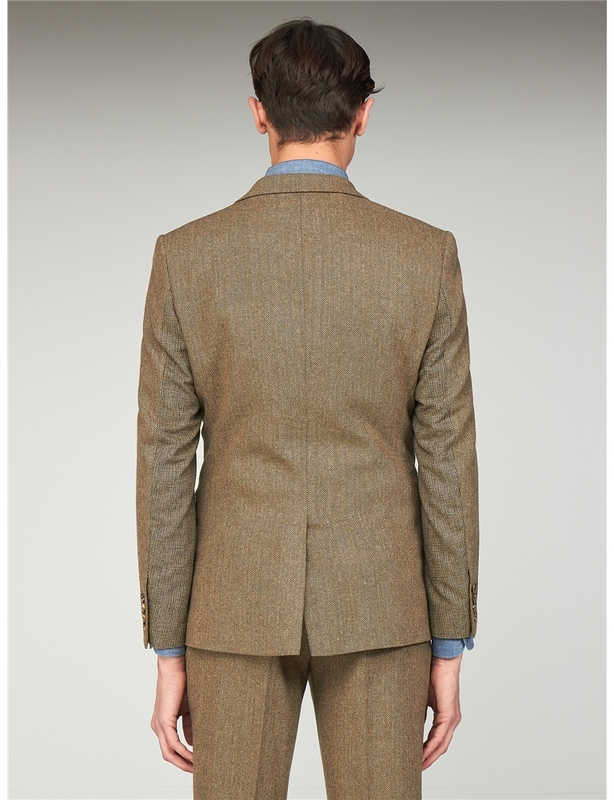 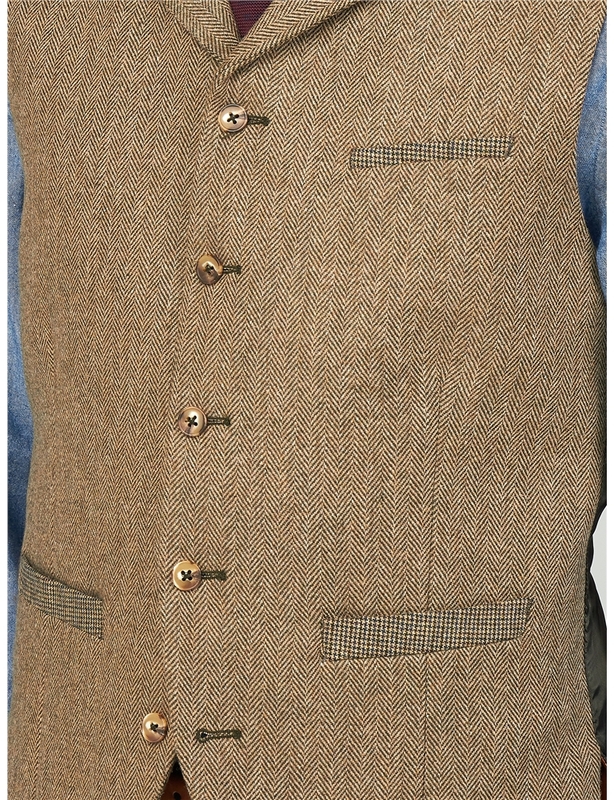 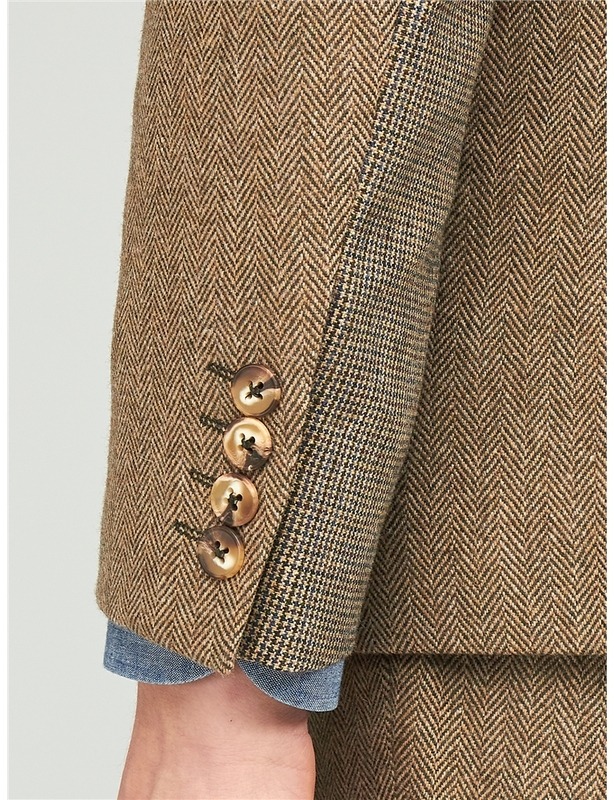 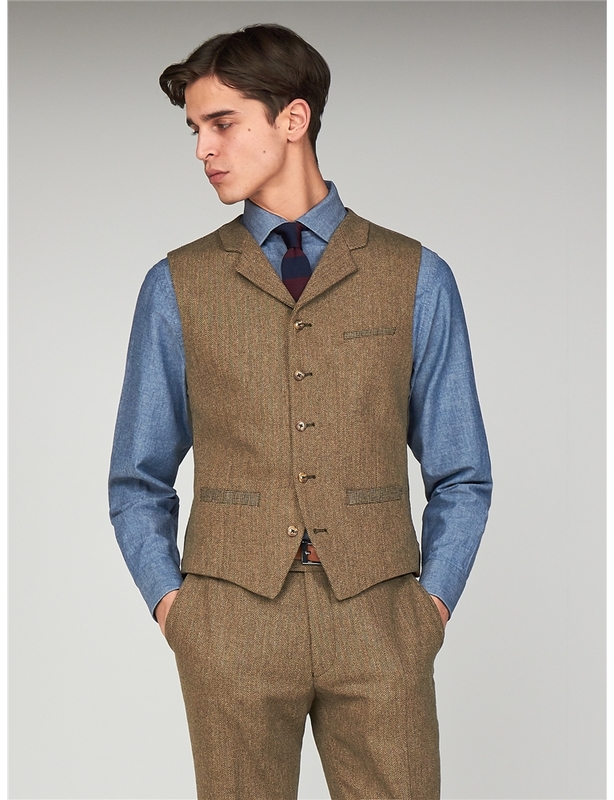 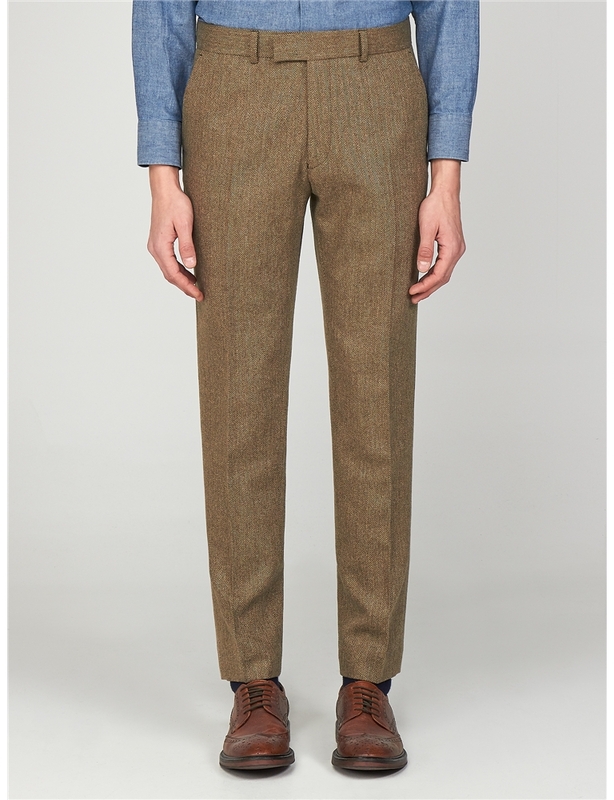 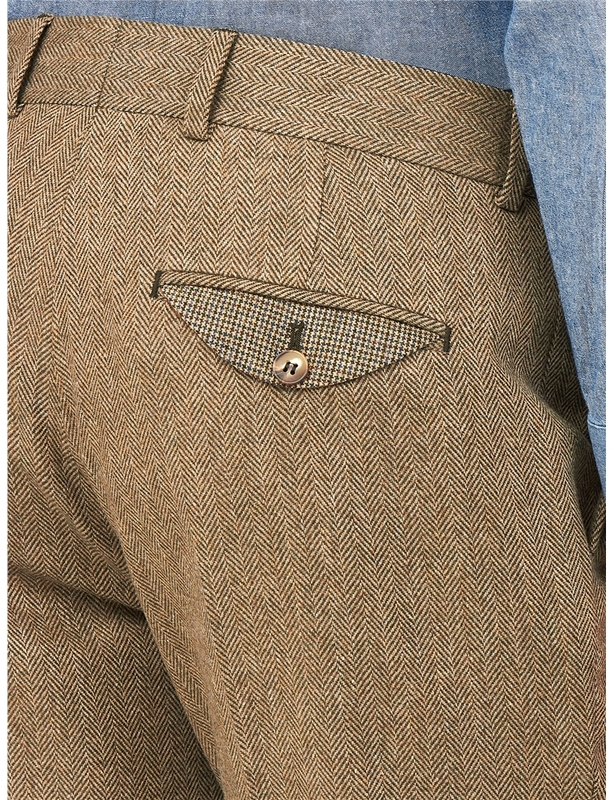 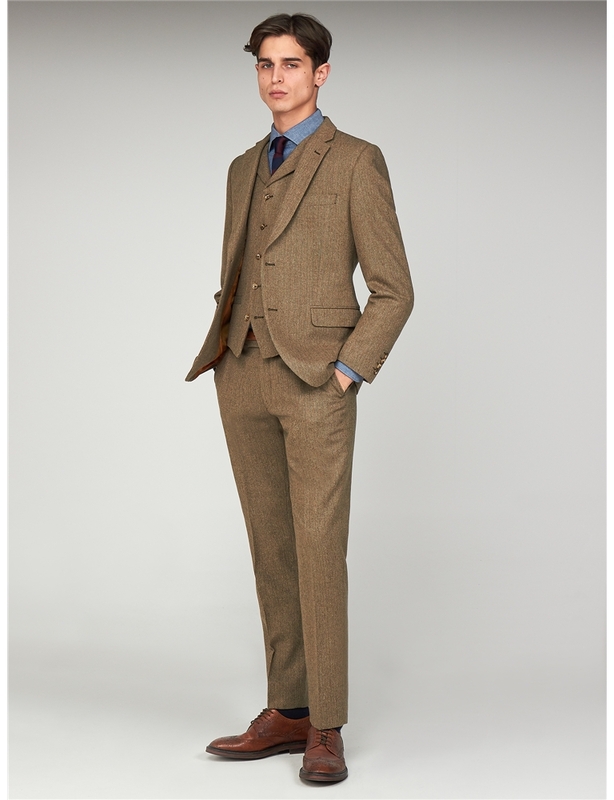 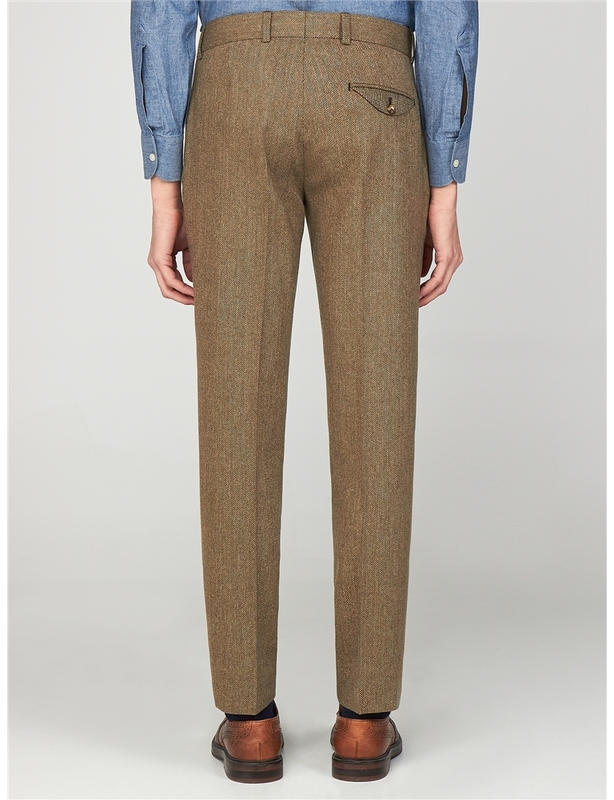 An enterprising, brown, herringbone suit jacket for the fashion centric. 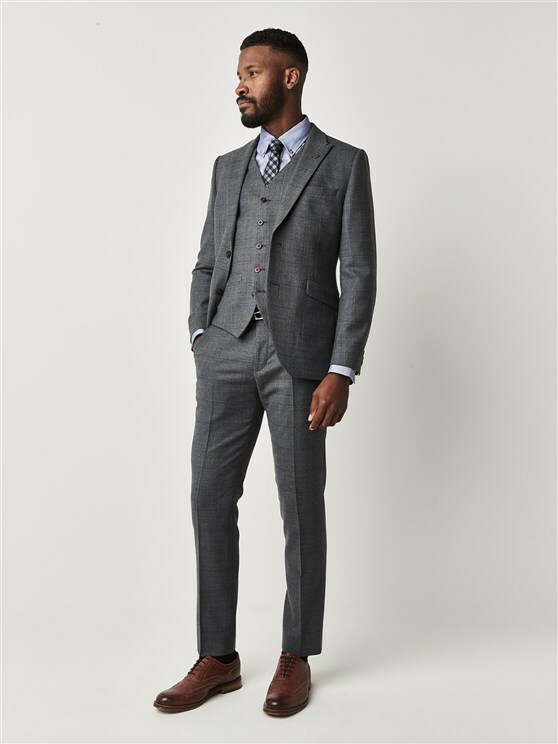 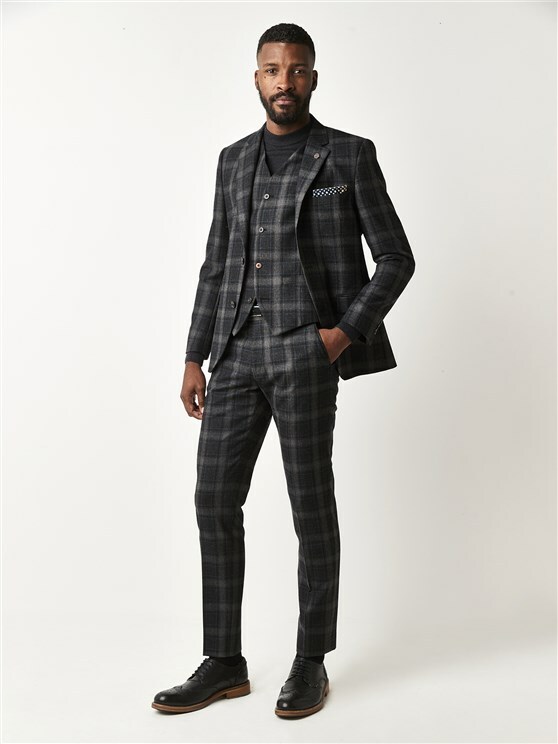 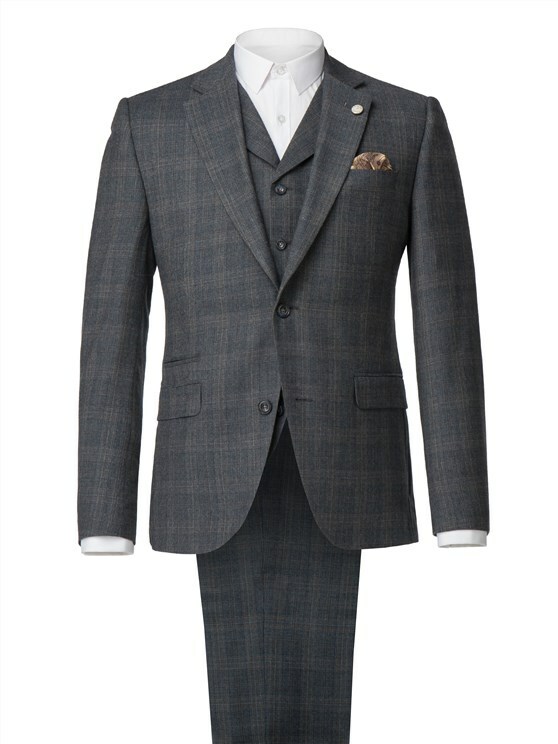 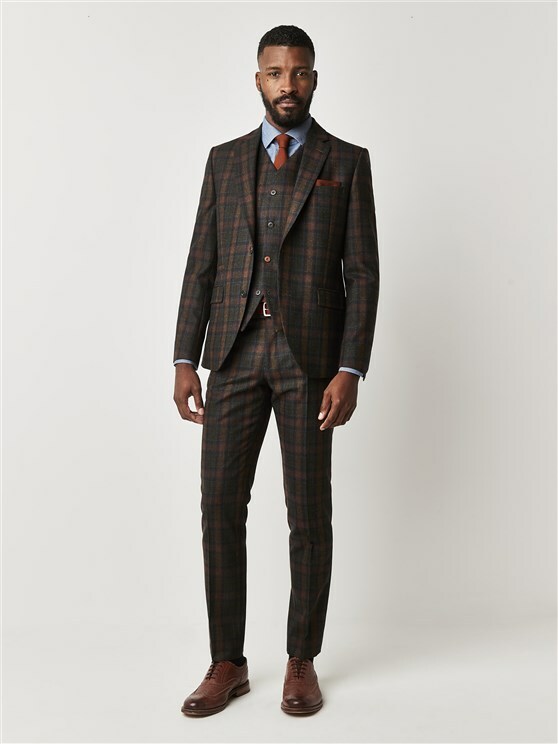 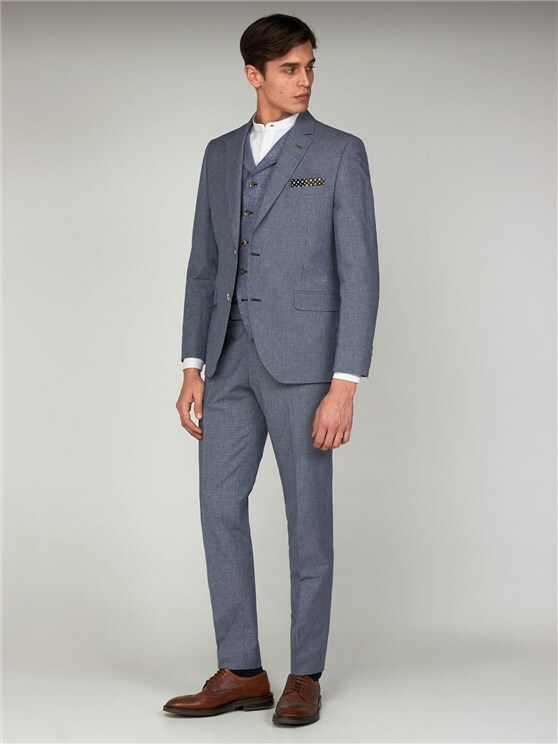 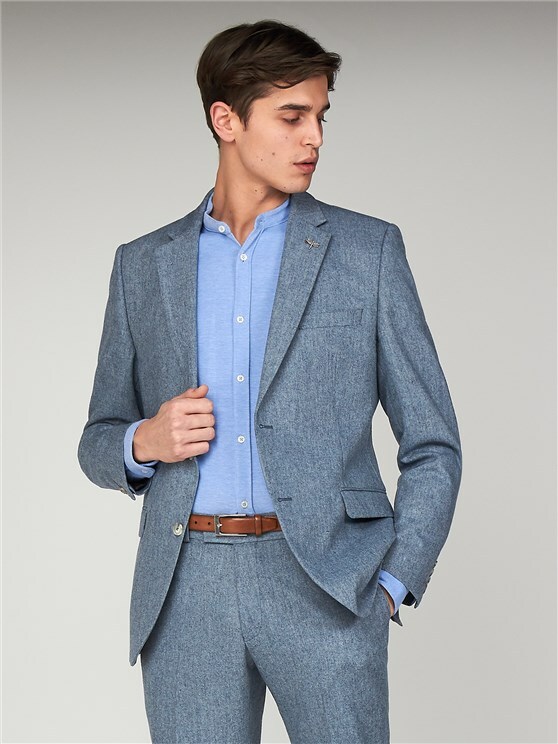 With our trademark Towergate slim fit, this men's formal suit jacket is a stylish, formal men’s suit with a focus on the tweed and herringbone styles that make British menswear a legend. 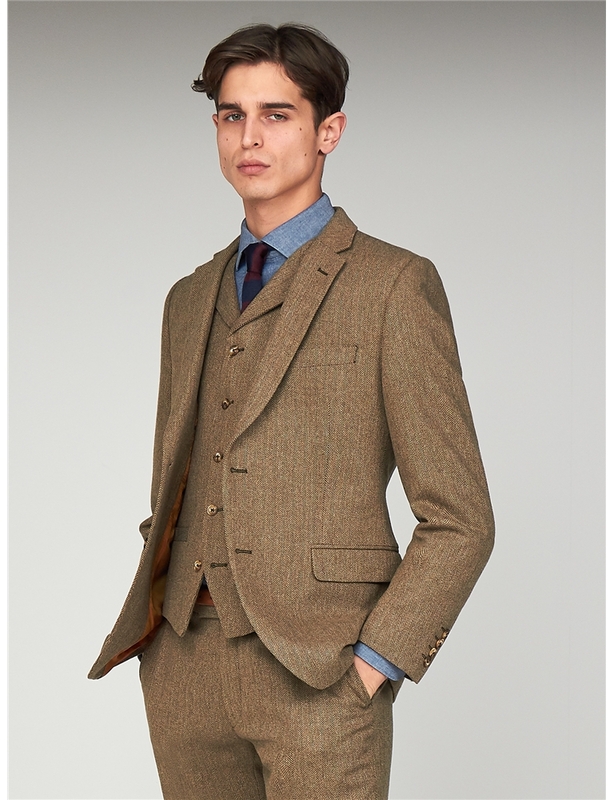 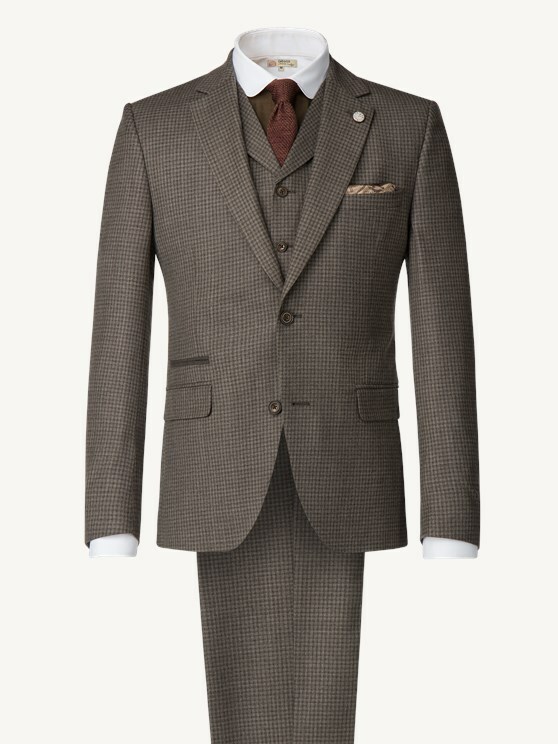 This men’s brown tweed three-piece suit jacket is designed to make an impression that’s ideal for any environment, with hard wearing wool rich fabric that’s built to last. 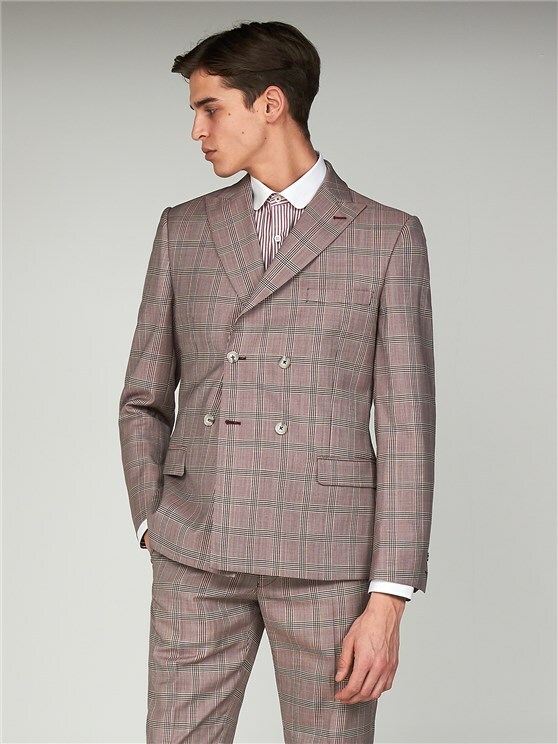 With notch lapels and rich orange satin lining, this men’s Towergate suit jacket features a ticket pocket and contrast undersleeves, finished in our trademark Bakerloo blue and brown puppy tooth fabric to add a flash of colour. 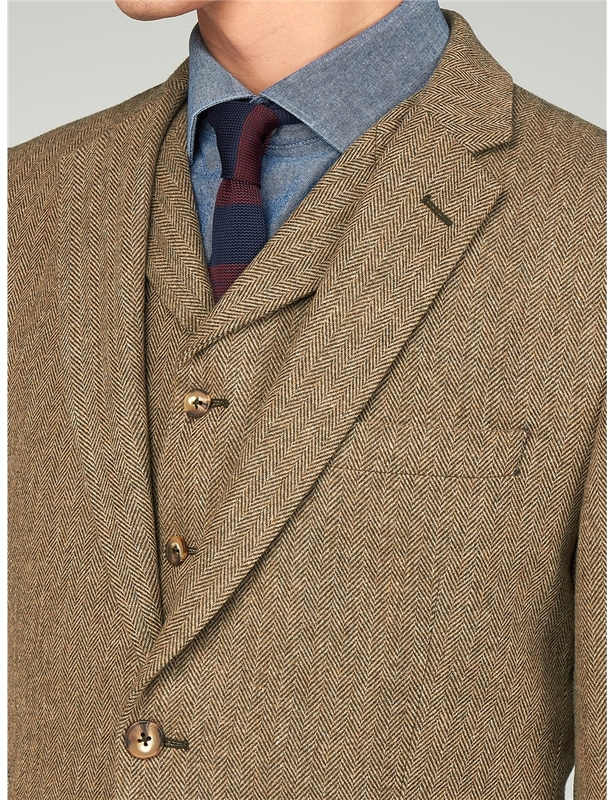 The heritage colour scheme and best of British look create the ideal mixer jacket to combine, enrich and enliven your look with a combination of other Gibson London Products.